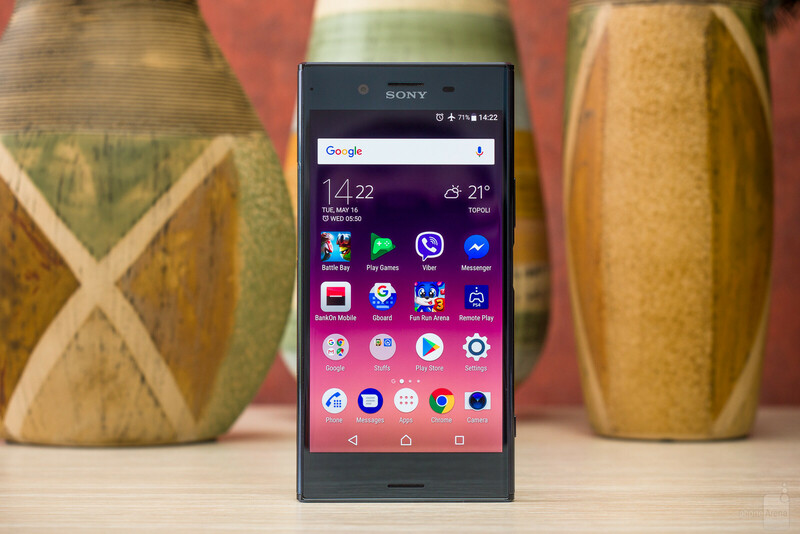 Sony, one of the major Android manufacturers out there, hasn't been terribly successful on the extremely dynamic and elastic Android market lately, but that's definitely not stopping it from continuously and predictably updating its handset portfolio with devices that are often too hard to discern from one another. 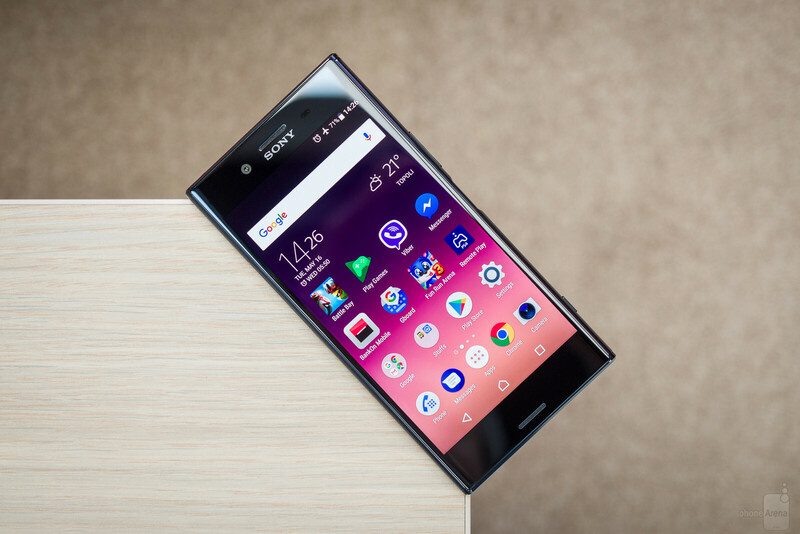 Yet, Sony's great software support and constant strive to combine the best software and hardware in its devices hasn't remained unnoticed by its numerous fans across the globe who are still loyal to the minor, but proud Japanese phone maker. 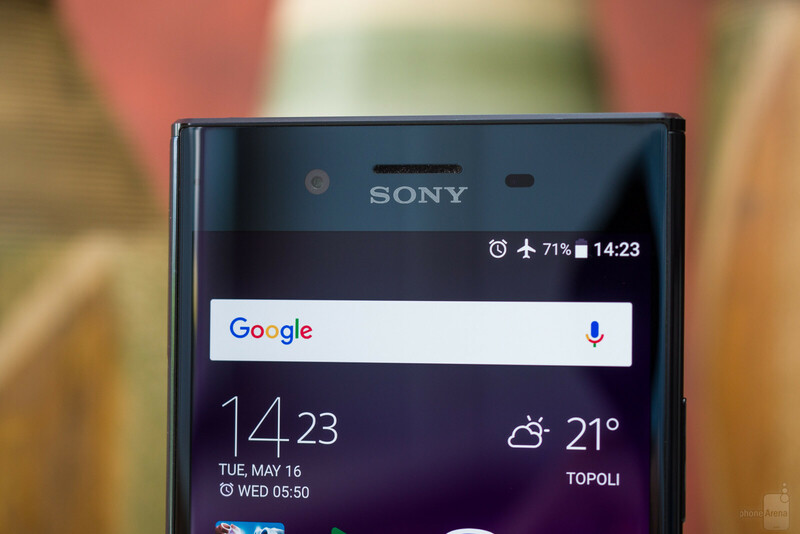 As MWC 2018 is almost upon us, rumors about a new Sony top-shelf device have begun circling around the air, speculating that the company might finally come up with something truly exciting - a device expected by many to be called the Xperia XZ Pro, which according to the hearsay could really be something noteworthy. We are usually cautious to such rumors, but we are cautiously optimistic about Sony's device plans. Here's what we know about said Xperia XZ Pro so far and why it's making us intrigued. We can't say we haven't heard that Sony is going to go the bezel-less way and employ the trendy new design on any of its future devices, but we've been hearing that constantly for the past year or so. Fortunately, that makes the current batch of rumors much more substantiated: with everyone jumping on the bezeless bandwagon, the clock is ticking and Sony has to either adapt and jump on board or see itself left behind all of its competitors. To say that a redesign for Sony's devices is due soon will be pointless - we wouldn't want to say that the company has gone lazy in its design approach, but spicing up the things won't hurt at all. We mean, it's one thing to be sticking up with a well-known and long-tested aesthetic for such ephemeral gadgets like smartphones, but Sony has been using a rather similar design for many years now. If anything, 2018 sounds like a great year to revamp some things and polish others while still maintaining the core Xperia DNA. 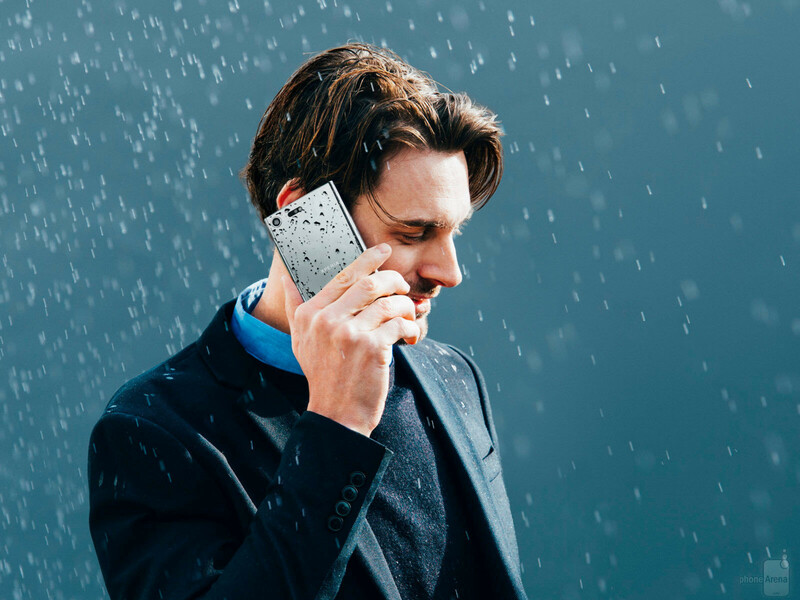 Oh, and one need thing we heard: the Xperia XZ Pro will most certainly continue Sony's tradition of waterproofing its devices. 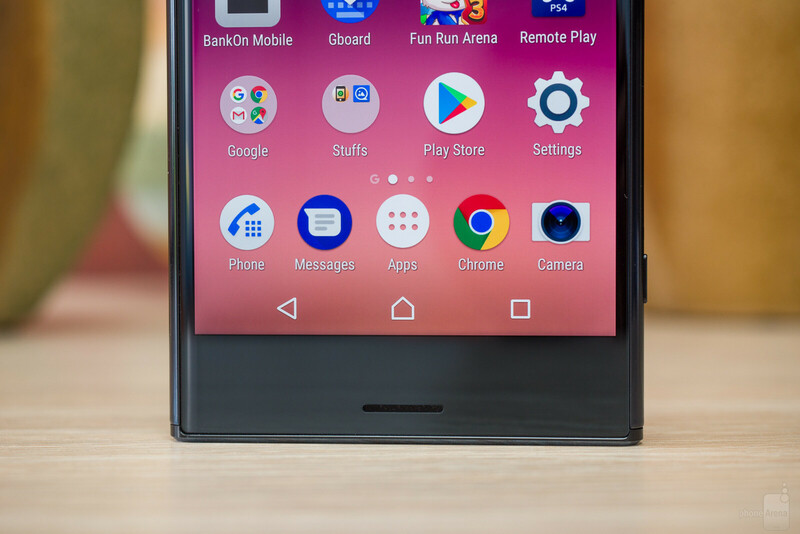 Sony's flagships were among the first to score this now-standard flagship feature a couple of years ago and it feels good to know that the company is not planning to retire this beneficial trait. Just recently, we heard the rather too-good-to-be-true rumor that Sony might launch a certain Xperia flagship with a 4K OLED display in tow, which is unheard of on the mobile scene. 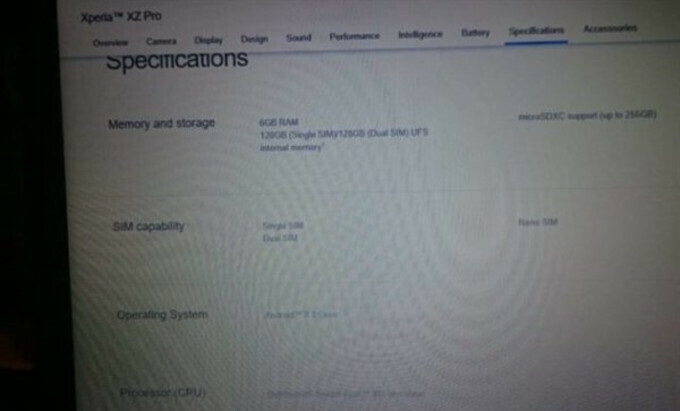 A recent rumor based around a leaked spec sheet detailing the rumored Sony Xperia XZ Pro has been the originator of this speculation. Some job listings as well as a Sony official have recently poured more oil into the fire hinting that Sony is actively exploring the idea of 4K OLEDs and could theoretically surprise everyone soon.“All I can say is that we are investing money in OLED displays. And very soon you will see 4K-OLED-matrices in mobile devices, which until now did not exist. The next step is 4K OLED, and you will not be disappointed, " Hitoshi Osawa, Sony Mobile's European chief of UX product planning. While it's certain that Sony is exploring its options for further display improvements on its Xperia lineup, there are a couple of reasons why a 4K OLED Xperia will probably not happen at MWC 2018. The glaring one is that Sony has never really come up with an OLED smartphone, and the second one is that no other manufacturer has come up with a 4K OLED display on its own so far. So far, we've only heard rumors of Samsung Display working on a 4K OLED panel with the mind-boggling pixel density of 801ppi, but we are certain that Samsung will likely keep the initial batch of these for itself. The other usual suspect, LG Display, has such panels in the portfolio, but... only for the company's TV lineup yet. Interestingly, LG Display and Sony have a long and fruitful partnership in the TV business with the former supplying OLEDs for high-end Sony TVs, so it won't be surprising if the mobile division benefits from a similar symbiosis. Of course, we are not diminishing Sony Mobile's engineering prowess at all (it is the only manufacturer with a 4K phone at the moment, after all), we just find it quite unlikely that a 4K OLED screen will grace an Xperia device at MWC 2018, which sounds awfully early. As per some borderline-legit leaks, the Xperia XZ Pro could even come with a 5.7-inch 4K OLED display, which would easily be one of the sharpest screens available on any device out there at the moment. We are quite pessimistic about this one, but it's a nice opportunity for Sony to surprise us. Is Sony's first dual-camera phone right around the corner? As of now, we heard through the grapevine that the Sony Xperia XZ Pro will include a dual-camera on the back: an 18MP sensor with a pixel size of 1.33μm, along with a second 12MP sensor with a pixel size of 1.38μm. A 13MP selfie shooter will likely be proudly featured up front. So far that's the only factual rumor we've stumbled upon. Most of you know that Sony was first to bring ultra-slow-mo 960fps videos to the mobile scene, albeit its current implementation is merely proof of concept as it's not very useful and intuitive right now. However, that's not fault on Sony's part but merely a limitation of the technology - the company's double-stacked camera sensors only allow for very short bursts of such high framerate footage to be recorded. Samsung will most certainly one-up Sony with its new tri-stacked ISOCELL camera sensors that will likely make it to the Galaxy S9/S9+ and allow for longer super slow-mo 960fps video clips while also being capable of snapping 480fps footage at FullHD 1080p resolution. Yet, while we've heard nothing of the XZ Pro's camera, we have a gut feeling that Sony won't allow Samsung to overtake it that easily. Let's not forget that the Japanese company is still one of the larger camera sensor manufacturers out there and will certainly look forward to answer Samsung's challenge. At this point, Sony needs only the best internals if it wants to be a relevant player in the game. Fortunately, most leaks point out that this is indeed the way Sony has chosen. According to what we hear, the top-end Qualcomm Snapdragon 845 will be featured inside this upcoming Xperia device, which will be fitting of its high-end status. Given that all spring flagships will be gunning for tis particular chipset, it's logical for Sony to be doing the same. It should be noted, however, that rumors have pinned all the initial batches of Snapdragon 845 silicons to the Galaxy S9 and S9+, which could mean that Sony will have to wait its turn for the chips and have its upcoming device released at a way later date. Sadly, that's typical for Sony which doesn't have a good track record of releasing its new devices soon after their announcement. Further down the line, Sony is rumored to be throwing in 6GB of RAM and up to 128GB of storage inside the Xperia XZ Pro, which is as high-end as it goes right now. The same hardware configuration will likely make it to the Galaxy S9+ and other soon-to-be-released top-shelf phones. Finally, a not-too-shabby 3,420mAh battery could be making the whole shebang tick, and while that's not as appealing as a 4,000mAh unit, it's a pretty siezable bank that should keep you online for a day in the least. We hope some sort of fast and wireless charging make the cut. It could easily be bordering with wishful thinking, but our educated guess is that Sony will really show up something at the upcoming MWC 2018 trade show. The company rarely misses the opportunity to showcase its hardware advancements at the MWC and IFA expos and has developed a steady 6-month rhythm of announcing new products twice per annum. So, circle your calendars for February 26, as Sony has scheduled a press event that could probably debut a new Xperia device! As far as market release is concerned, Sony doesn't have the habit of pushing its new phones that quickly - fans of the company usually wait at least a month in the best case scenario before they can get themselves the latest coveted Xperia device. We should probably gear up for an April-May release of a certain Xperia XZ Pro provided that it becomes reality in a month or so. When it comes to the pricing, we shouldn't gasp at the premium price tag that Sony could plaster on the device. The probable one is likely in the $750-$850 region, but if all hardware rumors become reality, we wouldn't be surprised if the device arrives at $900 or more. After all, high-end Androids command a hefty premium these days. One thing is for certain: as we know more so will you. Xperia Play was a really cool concept, a hybrid between a phone and a handheld gaming console, but it was ultimately neither, as evident by the market reaction. Too gimmicky and unnecessary for non gamers, while not game focused enough for gamers (Gameboy/Vita users) to replace their current consoles of choice. Not to mention that there are too many bluetooth controller accessories out there made for mobile gaming, that a dedicated phone with it is not necessary. Xperia Play was cool tho. 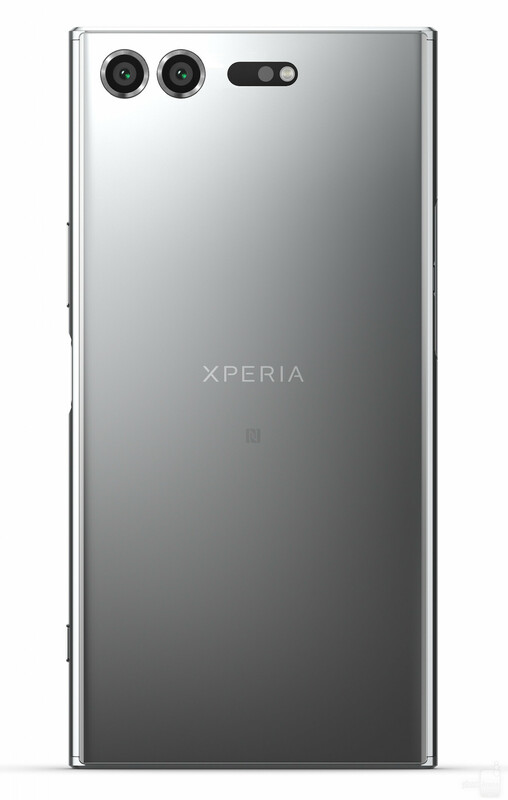 I really hope to see following features on next XZ Pro: 1. Fingerprint to stay side mounted as was on previous phones. Back FPS is dealbreaker for me. Can be done even front mounted and keep bottom and top bezels. 2. Improve camera in low light and simplify the camera app. I don't need second useless camera. 3. Keep so called rectangular design. If they make another rounder device as iPhone or Samsung - will not buy it. 4. Keep dual front facing speakers. 5. Reduce little side bezels, maybe slightly reduce top and bottom, but that is not a deal breaker for me. I preffer to have a good grip on my phone. 6. Have an option to choose screen resolution if it comes in 4k, cause i do not need it all the time. It is just a bettery waste. 7. Put a bigger battery for 2 days real life experiance. 8. Keep the thickness of the phone under 8.5mm. 9. Keep the headphone jack. 10. Keep IP68. If all of that is done - my next phone will be XZ Pro. "Sony, one of the major Android manufacturers out there" "the minor, but proud Japanese phone maker" Which is it? Android issnt just phones, SONY uses it in their tvs aswell. And in alot of other things. I hope this phone delivers and won’t disappoint. Why you disappointed on rumor information? But Xperia Z3 wasn't released in 2013 though... Just saying. It will be the phone off the year. Not for average dummies though. I loved Sony for the Z3 , it was my all time favourite phone. I despise them for the XZ premium. My worst Flagship phone experience ever. Hope they get it right this time. There are still many Sony fans out there. Me of course, being one of them. I, along with numerous others are just frustrated how over and over again Sony have failed in the mobile front. What it takes for the fanbase to go Xperia? It’s simple really. Follow recent trends (maybe exceeding expectations) and make a phone with a half competant camera in low light. I’m sure great sales will come in no time. The XZ Pro seems to be a solid step in that direction but judging from previous unreliable Sony flagship rumours you never know. Fingers crossed our beloved Sony gets it right this time. If it wasn't for the lack of FM radio, I would have got the XZ1 instead of my G6. How have they failed? Compared with the G6 the XZ1 has a: -much better software experience (my G6 stutters a lot and it is still on Android 7.0, even my Z2 runs smoother) -better screen (G6 screen is dull and mine suffers from light bleeding and latency problems) -better camera -front facing stereo speakers I personally don't see how Sony failed. The XZ1 has not a better camera that the G6! Sorry but sadly they never had the best cameras in their phones. They never used OIS, lenses have been plastic all the time. Early Zs had terrible focus problems for macros and later they have been terrible in night / indoor conditions. I had XZ1 and its the best so far for Xperia phones, but still has problems in low light. A 2016 Pixel f.e. shows more details in auto mode than XZ1 in manual mode. It´s as simple as it is. ohh for s**ts sake its a phone....just go out and get some hookers and quit wasting your life staring at a 4 inch screens,...you'll parents will begin to think your normal... when they see u going out of their basement more than once a year...plus y'all need some ance sauce on that face...rofl/lmfao! So you are saying that life should be spent whoring?